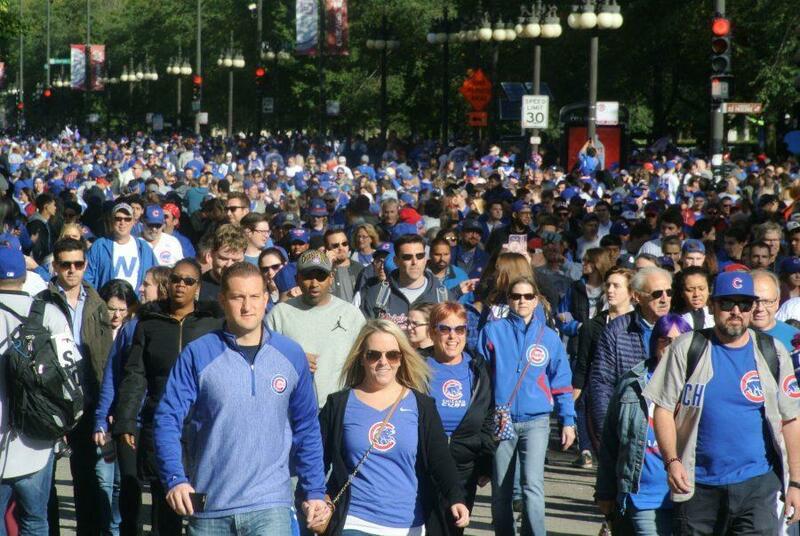 A sea of people close down multiple streets in Chicago as they jovially stroll through them in honor of the Cub’s World Series win and in purpose of walking to a parade viewing-spot. Above is a slideshow of the Cubs parade and rally that mainly captures the spirited energy of the crowd on Friday, Nov.4. The chaos, pride, and overall happiness of parade attendees are highlighted, as well as some of the most popular places where people went on Friday. The parade and rally were of course in celebration of the Cubs winning the World Series, with it being 108 years since their last World Series win, which occurred two days prior. Fox Sports reported that the attendance of the parade was approximately at 5 million, making it the seventh largest human gathering in world history and the largest gathering ever in US history.